MALTA – Prima Networks, powered by Microgaming, has signed a deal with Microgame S.p.A., the leading Italian gaming service provider. Founded in 1999, Microgame offers a wide range of services to the Italian online gaming market, from single turnkey solutions to full outsourcing. Fully licensed in the regulated market, the company develops and offers high quality products and services with focus on the needs of all parties involved: gaming operators, distribution networks, affiliates and players. Its total network in Italy spans 130 different brands and over 650,000 accounts, in total dealing with 120 million transactions per year. Prima Networks has signed a reseller agreement with Microgame. Through the deal, Microgame and its partners gain access to the largest game portfolio in Italy, with over 250 slots and table games from Microgaming, including Immortal Romance, Mermaids Millions, Thunderstruck and Lara Croft: Tomb Raider™. 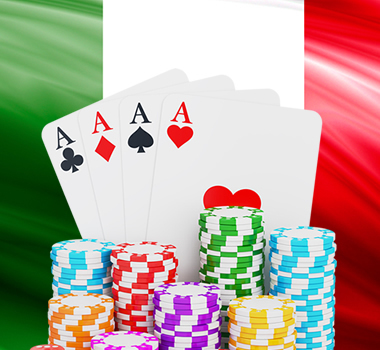 Microgaming content is available to Italian operators through the Quickfire platform.